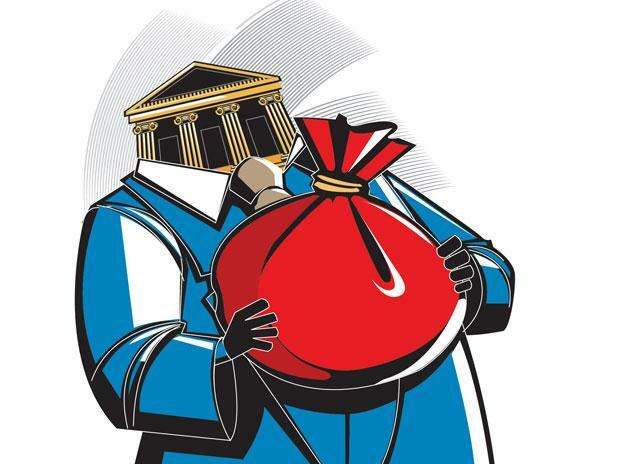 Systemwide bad loans will improve by 180 basis points to 8.5 per cent in March 2020 from FY19 levels on slower slippages, and the state-run banks will turn profitable for the first time in four years, says a report. The banking system will close FY19 with gross non-performing assets of 10.3 per cent, ratings agency Crisil said Monday in its half-yearly report on credit movements. A slump in advanced economies, as well as government, spends on infra may lead to a moderation in the credit ratio in FY20, the agency warned. The report sees NPA ratios improving by 180 bps to 8.5 from 10.3 despite a 14 per cent growth in assets expected during the financial year. Incremental slippages came down to 3.8 per cent of total assets in FY19 from over 6 per cent levels in the previous two fiscals, it added. This is slated to help the state-run lenders, who are expected to return to the black after four consecutive years of losses, it said. Over 60 per cent of total upgrades were in investment-linked and export-linked sectors, which got a fillip from domestic infra spends and global growth. Investment-linked sectors such as construction, engineering, steel, and construction equipment will see only moderate buoyancy, he added. About the sectors where banks need to be watchful is residential realty due to inventory pile-ups, telecoms due to unhealthy competition and thermal power units struggling for asset resolutions where one needs to be wary about. Textile and readymade garments sectors also saw more number of downgrades than upgrades, and a weakness in global economy will continue to put them under pressure, it said. Investment demand is unlikely to revive in FY20 and the corporate loan requirements will be driven by demand for working capital, the agency said. Meanwhile, its peer Icra said credit quality pressures persist for the universe of companies it rates with the aggregate volume of the debt downgraded FY19 at Rs 3.2 lakh crore, which is 10 per cent higher.